Bethesda will release a Fallout 4 high-resolution texture pack next week, listing an 8GB RX 490 as their recommended GPU for the new game version. 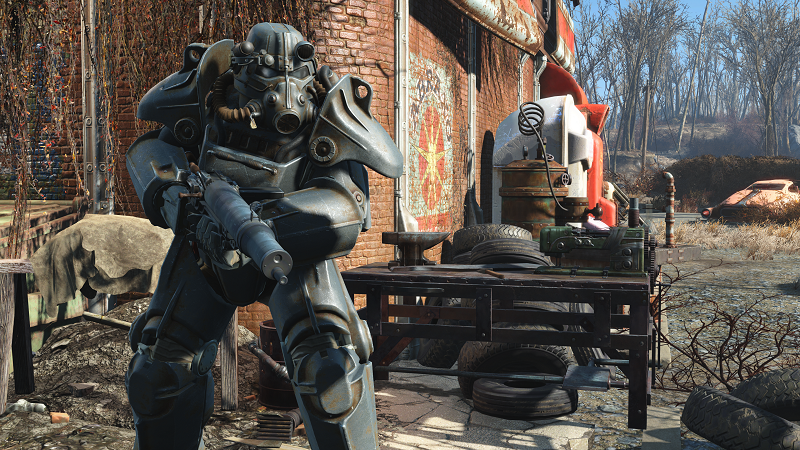 Read more on Fallout 4's High-resolution texture pack for PC. Wow, so downtown Boston can drop my fps into the 10fps range (980ti). Yay. Looking forward to this ! What are they kidding? It better all be 4k textures then. That'll be nearly 90GB for this game alone. SC is 100GB, it looks 10x as great as this game. I like that they're pushing this out for the enthusiasts. It's a clever way of getting more people playing it again and spreading the word once more. It's not textures this needs IMHO, it's a SMIM (Static Mesh Improvement Mod) that is sorely needed. Feel bad for the PS4 Pro users who have this. They only have 1TB of storage space and less than that after formatting. Then having this game installed alone means the probably have ~850GB of storage left. That's 15% gone after one game. That's a big dent for a console user. Although they are getting a massive increase in fidelity from this. So it's probably worth it for some people. Thank god FO4 has decent SLI scaling now. I can only imagine trying to play this in 4K. Heck, I used to bog down regularly with regular textures at 4K (patching / driver updates did improve this immensely), so I can only imagine the pain this would inflict on my poor 4GB 980s! It will run like a dog. What I mean is they probably had these textures ages and ages ago but had they released them before people would have demanded that they get more than 5 FPS out of the game so they probably sat on them until sales slumped. They did exactly the same for Fallout 3. Released an official yet unofficial texture pack about a year after launch that devoured 1gb of VRAM easily. And that was when 256mb was the norm and 512 was a luxury. Thankfully I had a GTX 280 with 900mb or there abouts so it ran fine. I'm not too worried about VRAM, I have a Titan XM. I doubt I will be able to max it at 1440p though so may have to see if it looks better with the textures at 1080p than it does without them @ 1440.